It is the Author’s intention to reveal what is a true and what is a false salvation experience. Many Christians do not understand the difference of a true and a false salvation. 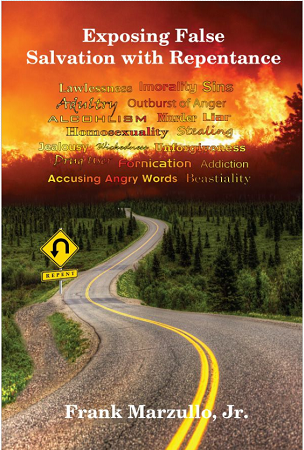 The key point is whether a person has a repented heart by turning away from sin. Over the years, the Author has met many who have appeared to have a false conversion to Jesus Christ. This has been in response to shallow or false teachings of doctrine or teachers not able or willing to challenge the differences. Many have said that they know Jesus, but what is essential in a true salvation experience is following the Father’s will and Jesus knowing us. What is their opinion on practicing sin? The full gospel and the full council of God has not been preached or received. Thus, false converts. The full impact of this is when in Matthew 7:23 (NKJV) Jesus says to many, “I never knew you; depart from Me, you who practice lawlessness!” The information given in this book may challenge your doctrine and beliefs. Please read this to the end and decide.